Florence Welborn founded Mandarin Stained Glass in Lakewood, WA in 1974 bridging the gap between professional studios of church windows and accelerating interest in stained glass for homes and personal hobbies. 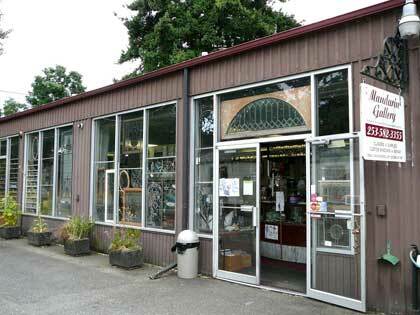 Mandarin offers artists and hobbyists what is probably the widest selection of stained glass and supplies in the area. She and her staff have taught hundreds of students the art of stained glass and have ongoing classes in Mosaics, Stained glass windows, Ornaments and repair. Fusing and Painting on Glass have been added to the curriculum as more and more people look to add additional interest to their projects enabling people to broaden their choices in the final design of traditional and contemporary applications. Come on by the shop for all your stained glass needs.